A cashier rings up a marijuana sale at the Essence cannabis dispensary in Las Vegas in July 2017. It was the industry’s single biggest day of sales in 2018, with sales up 111 percent compared with the four Fridays before and after the holiday, according to Headset, which compiled sales data from Washington state, California, Nevada, and Colorado. 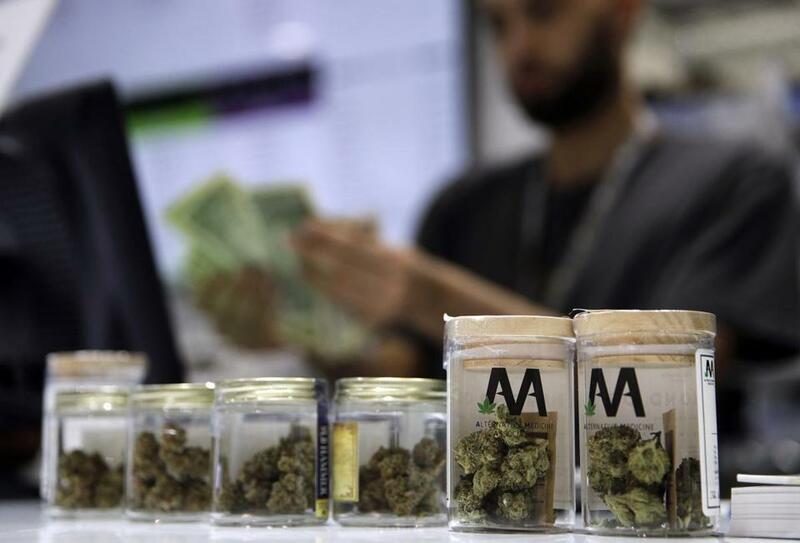 By comparison, beer sales during the two-week period including July 4 were up 33 percent versus an average two weeks in 2018, according to Nielsen Holdings Plc, which has partnered with Headset to analyze the US legal pot market for consumer packaged-goods companies. This will also mark Canada’s first April 20 since the country legalized recreational pot last October. Retailers may find it difficult to achieve the same jump in sales as their US counterparts due to the ongoing supply shortages that have plagued the legal market. There will undoubtedly be long lineups, especially in under-retailed cities like Toronto, which currently only has two legal stores to serve its population of nearly 3 million.